Why was the Water Equipment and Policy Research Center formed? How is the WEP Research Center organized? What are the characteristics of the I/UCRC model? How long has WEP been operating and what has been accomplished? How can I become a member of WEP? How will I benefit from being a member of WEP? What are the provisions of membership? When is the best time of year to join WEP? How long do I have to commit to be a member? What are the research priorities of the center? What are the areas of research expertise of the member universities? What access do I have to the IP created at the center? Will all the research results be shared in public forums? Can I have proprietary research carried out at the center? What are the quality control mechanisms in place? What steps should I take if I am interested in becoming a member? 1. Why was the Water Equipment and Policy Research Center Formed? * 783 million people or about 11% of the world's population in the world have no access to safe water. * 2.5 billion people or about 35% of the world's population in the world do not have access to adequate sanitation. * One child dies every 20 seconds of diseases caused by unclean water and poor sanitation. This amounts to around 4,000 deaths a day or 1.4 million children dying every year. * And yet the water systems in some low-income countries are so primitive that 50% of the water that is treated is lost to leakage before it can reach their people. 2. Cleaner, sustainable environments – Innovations will result in fresh water resources being managed more efficiently and cost effectively.Water challenges aren't limited to third world societies. Even advanced countries such as the United States are experiencing their own fresh water challenges. * The U.S is suffering from aging infrastructure resulting in 18% of the treated water being lost. EPA found that the nation's 53,000 community water systems and 21,400 not-for-profit non-community water systems will need to invest an estimated $334.8 billion between 2007 and 2027. * Compounding the problem are the severe drought conditions affecting several regions of the U.S. that have ignited water wars between competing factions. * The water industry is also challenged by the rising cost of energy. Four percent of total U.S energy consumption is used to power the pumps, aerators and other equipment that treats and distributes water to consumers, and then treats their post-use wastewater. 3. 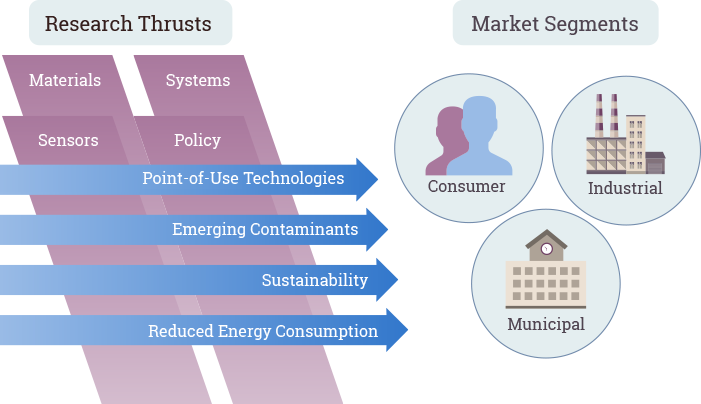 Economic development – A very important side benefit of investing in solving today's water challenges will be economic growth for manufacturers and users of new products and processes. * Companies who invest in commercializing new technologies will profit by serving new customers and markets. * Communities that implement new water technologies will attract new businesses and increase property values by driving down the costs of providing reliable water and waste water services. * Countries that invest in water infrastructure to provide their populations with clean, reliable and convenient fresh water resources will grow their economies by freeing their people from the daily struggle of obtaining drinking water to engaging in higher economic pursuits. Clearly, investing in the infrastructure necessary to provide growing populations with clean drinking water and protecting the environment will inevitably become an important part of government expenditures and a stimulus to economic development. The water and waste water industry accounted for more than $114 billion in total spending in the United States in 2007, and $463 billion worldwide. Equipment manufacturers have reported annual growth rates of 5-10% in recent years and expect this trend to accelerate over the next decade. 2. How is the WEP Research Center organized? The WEP Center operates under the auspices of the National Science Foundation’s Industry/University Cooperative Research Center(I/UCRC) program. The National Science Foundation (NSF) works closely with universities and industry members to apply the proven I/UCRC model that has been continually refined since its launch in 1978. WEP currently has two university members. University of Wisconsin-Milwaukee (UWM) is the lead university. WEP has an aggressive growth plan to grow the center by adding new members. WEP Center Director: Distinguished Professor Junhong Chen serves as the WEP Center Director. He reports to the Dean of University of Wisconsin-Milwaukee’s College of Engineering and Applied Science. Dr. Chen is responsible for managing the center on a day-to-day basis, and provides the primary administrative interface between the center and its industry members. Marquette Site Director: Professor Daniel Zitomer serves as the Site Director for Marquette University. Dr. Zitomer works closely with Dr. Chen and manages all of Marquette’s WEP Center activities. Managing Director: Dave Marsh serves as the Managing Director. He supports all aspects of the center on a day-to-day basis and serves as a primary liaison between the Industry Members, Center and Site Directors and Principal Investigators. Industrial Advisory Board (IAB): An Industrial Advisory Board advises The Center Director on all aspects of the center’s operation. The IAB consists of a representative from each of the center’s industry members and serves a role similar to a board of directors. It is responsible for setting policy, building consensus, and for selecting and approving projects for support via the center. The IAB meets with WEP staff twice a year in formal day-long meetings to consider new proposals for funding, to assess progress made on previously funded projects, to make decisions on continued funding, and to carry out other center-related activities. Industry members also interact with principal investigators and WEP staff periodically throughout the year to review projects and address other centers issues. Independent External Evaluator: The center is aided by the counsel of Dr. Drew Rivers, an independent consultant who works closely with WEP staff and the National Science Foundation in conducting an annual assessment of the effectiveness of the center and providing input to improving its quality. Dr. Rivers does not address or assess the quality or technical aspects of research projects --- that is done entirely by the IAB. He is only concerned with an evaluation of the quality and value of the interactions between the industry members and the faculty. NSF Program Director: The WEP Center operates under the guidance of the NSF Program Director, Dr. Raffaella Montelli. She attends biannual meetings to observe center progress first-hand, to help WEP staff implement I/UCRC best business practices, and to improve value to industry members. 3. What are the characteristics of the I/UCRC model? To pursue fundamental engineering and scientific precompetitive research having industrial relevance. To produce graduates who have a broad, industrially oriented perspective in their research and practice. To accelerate and promote the transfer of knowledge and technology between university and industry. The prominent role of industry members in all aspects of center management ensures that I/UCRCs operate from a perspective of technology pull (industry’s needs) rather than technology push principles (government’s or academy’s perception of industry’s needs). 4. How long has WEP been operating and what has been accomplished? The Water Equipment and Policy Research Center was founded in 2010. In 2016 the NSF accepted WEP into Phase 2 of I/UCRC program, and when compared with other I/UCRCs of comparable age, WEP has had some very noteworthy achievements. 5. Who are eligible to become members? Any company, NGO, federal, state and local agencies, and government-owned contractor-operated laboratory may become a member of the center. 6. How can I become a member of WEP? To review the benefits and responsibilities of WEP members access the links below to review and download copies of membership documents.  WEP currently has 6 categories of membership with differing due structures and benefits. 8. How will I benefit from being a member of WEP? The Water Equipment and Policy I/UCRC provides a cost-effective way to leverage research investments. Every $1 of WEP’s 15 members’ fees, returns $23 of research. By pooling resources together, members can undertake precompetitive research that none of them may be able to afford individually. Membership dollars go farther than usual since the universities match 35% of the membership fees, and since NSF provides additional funds as well. Members shape the research agenda of the research center so that it can produce results that are of direct value to the members. Members get early access to the research results and other technology being developed by the center faculty researchers, including the results of most federally sponsored research projects being pursued outside the center. Based on past experience with other I/UCRCs, it’s not uncommon for outside funding to at least quadruple the total size of the research program whose results are accessible to the members. Interactions with the center faculty provide an ideal mechanism for knowledge transfer. Industry participants can learn about the latest research and technological advances that are being made in the field, while the faculty members learn about important practical problems being faced by the industry. In addition to research projects directly funded by industry members, other opportunities exist for the center to obtain additional NSF research grants. Members get access to trained professionals and experts in water and wastewater technologies relevant to their companies. A typical membership fee supports a single graduate student for an entire year. When these students graduate, member companies have an edge over businesses outside of the center in recruiting them. Membership in a leading university-based research center can bring prestige to companies, credibility to their initiatives carried out though the center, and enhance their corporate image. 9. What are the provisions of membership? The rights and responsibilities of members are delineated in three documents. Access copies by clicking on the links below. 10. When is the best time of year to join WEP? Fiscal years and budgeting cycles vary between organizations, which is why WEP accepts new members at any time throughout the year. However, because WEP research projects are selected on an annual basis, prospective members may want to commit to joining the center no later than July when they can fully participate in reviewing and selecting projects for the next calendar year. Below is the WEP research project selection and review process. Early Spring: Spring IAB meeting to formally review current projects and assess member research needs to be detailed in a new RFP for the selection of projects for the following year. 11. How long do I have to commit to be a member? Members should join the center with the understanding that the center intends to work on medium to long-term projects, with a time horizon of 18 months to a few years. Therefore, the members should join with the intention of remaining a member for three years. If a member becomes unhappy with the center, it can terminate the membership agreement at any time by giving the center 90 days written notice. However, because member dues support annual student stipends, members are required to continue paying dues for the remainder of the year. For legal purposes, this provision means that the minimum membership period is one year. 12. What are the research priorities of the center? The IAB collaborated with WEP staff to create a Technology Roadmap that guides the prioritizing and planning of resources and research projects. The process of creating the Roadmap began by defining the research deliverables… those innovations that could be game changers for member businesses. Then the team worked backwards to further define the research projects that would produce those results. Below is a simplified version of the Technology Roadmap. 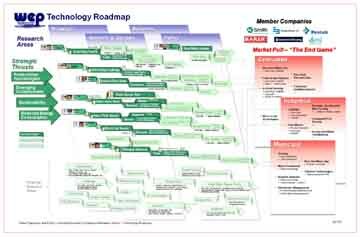 Click on the image below to access a full size copy of the Comprehensive Technology Roadmap. 13. What are the areas of research expertise of the member universities? One of the strengths of the Water Equipment Policy I/UCRC is the multiple discipline approach the faculty brings to researching water issues. In addition to extensive experience in water, wastewater and environmental science, WEP scientists are leading the advancement of understanding of nanomaterials, metallurgy, superhydrophobic surfaces, self-healing materials, polymers, sensors, microbial fuel cells, to name just a few. Across these areas, WEP faculty publish dozens of papers each year in some of the most prestigious professional forums. Below are some of the labs where they conduct they’re research. Environmental Engineering Laboratory: Facilities include gas chromatographs with autosampler and ECD, FID, and MSD detectors, HP 5890, Agilent 6890N, ion chromatograph Dionex 320 and centrifuges, autoclave, incubator, EG&G Ortec alpha and gamma spectrometers. Hydraulics Laboratory: The laboratory facilities include approximately 1650 square feet of laboratory space, housed in the Department of Civil Engineering and Mechanics. Nanotechnology for Sustainable Energy and Environment Laboratory (NSEE): The lab is equipped with facilities to perform basic aerosol nanoparticle and plasma experiments as well as numerical computations. Microsensor Research Laboratory: The Microsensor Research Laboratory performs both theoretical and experimental work in acoustic wave, solid-state devices and optical waveguides gas- and liquid-phase chemical and bio-sensors. The laboratory has state-of-the-art equipment for the design, characterization, and evaluation of these sensors and extensive computation facilities for theoretical modeling, analysis, and data processing. Water Quality Center Laboratory: The facilities include laboratories, computing resources, and offices. The center laboratories, located in the Olin Engineering Building, include more than 3,700 square feet of space and are equipped to perform physical, chemical, and biological analyses of water, wastewater, soil, and sludge. 14. How are research projects selected? Projects are selected for funding by the IAB members. The IAB members review proposals from center faculty, as well as hear short presentations relating to each proposal. Then they vote for the projects that are of most interest to them. The number of votes for each company is directly proportional to the membership dollars paid by that company. An iterative voting process is used to ensure that the available dollars are matched with the costs of each proposal selected for funding, and that the most deserving projects get funded. Center members can (and typically do) influence the nature of projects long before the IAB meeting. Successful projects are often those proposed by faculty based on prior discussions with members to identify problems deemed important by the members. Each company may choose to participate in one or more of these discussions to ensure that a desirable set of proposals get submitted to the IAB. 15. What access do I have to the IP created at the center? All members of the center get a royalty-free, non-exclusive access to all the IP developed at the center, for which they agree to share patent costs. This is particularly beneficial in a multi-university center such as WEP, where the members have access to all of the IP developed within all of the center’s university sites. If a member wishes to obtain exclusive licensing, this can be arranged with the specific university where the IP was created. The licensing process in this case will follow the normal process used by that university for IP resulting from sponsored research carried out in that university. 16. Will all the research results be shared in public forums? Public dissemination of results is an important goal of university research. Graduate students and faculty depend on publications for their livelihood. Thus, it is expected that important research results produced at the center will be published. However, the members have the right to request a delay in publication due to proprietary concerns. These requests are honored as long as a reasonable and timely justification for delay is provided by a member. 17. Can I have proprietary research carried out at the center? The basic function of the center, and the one they excel at, is that of performing longer-term, precompetitive research that is of interest to multiple center members. In this case, by pooling resources, the members are able to invest in solving problems that are too large or too complex to be investigated by a single member. 18. What are the quality control mechanisms in place? All I/UCRCs have an independent evaluator that directly reports to the National Science Foundation. Dr. Drew Rivers, the independent evaluator plays a major role in WEP, interacting frequently with the members to obtain their feedback on the operation of the center and how it can be improved. The evaluator advises the center director on ways to improve the center in terms of the value that it provides to its members, and how responsive it is to their needs. 19. What steps should I take if I am interested in becoming a member? Please send an email or call any WEP Staff members or other UWM or Marquette faculty with whom you'd be interested in working.